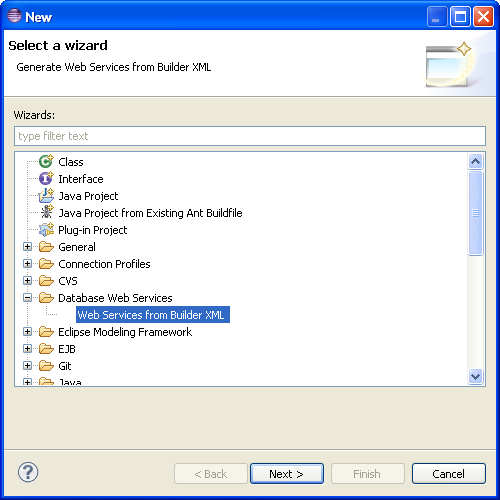 Use this procedure to create a new JPA project. From the Navigator or Project Explorer, select File > New > Project. The Select a wizard dialog appears. 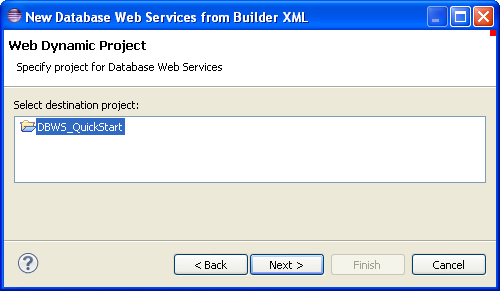 Select Database Web Services > Web Services from Builder XML and then click Next. The Web Dynamic page appears. Select the Dynamic Web Project, and click Next. 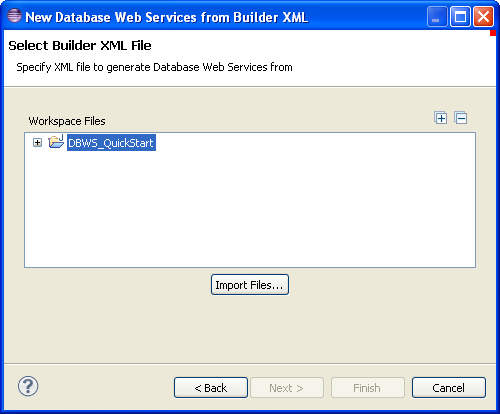 The Select Builder XML File page appears. 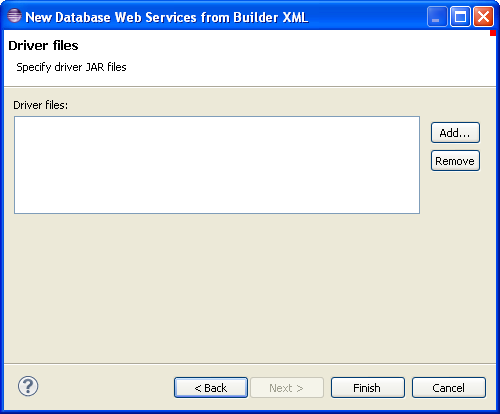 Click Add to add additional JAR files to the project. Click Finish. Dali adds the new JAXB project. You should now open the JPA Development perspective.